MAFSI Reps, like typical sales people, maintain a positive outlook for future sales growth. 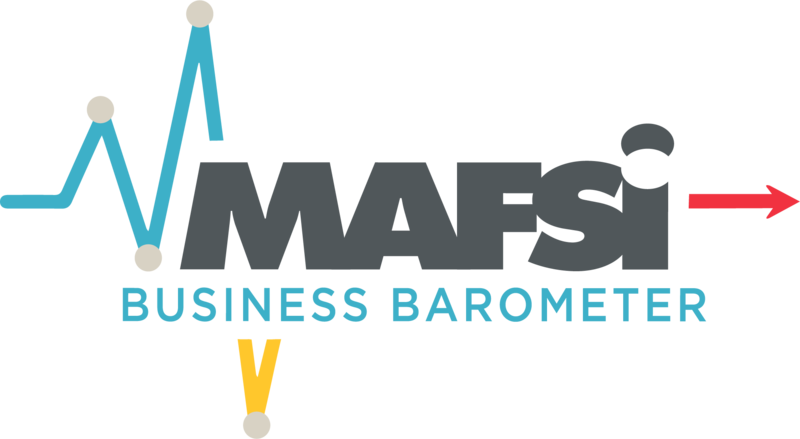 This has been the case for most of the MAFSI Quarterly Business Barometer’s 17-year history, and the annual forecast results have also tended to outpace the actual performance by a tick or two. So, with that somewhat optimistic bias, MAFSI is forecasting an increase of +3.4% in 2019. By product category, the projection calls for an advance of +3.5% in both Equipment and Supplies. +3.3% in Tabletop, and +3.0% in Furniture. By region, the breakdown calls for increases of +4.1% in Canada, +3.7% in the Midwest, +3.5% in the Northeast as well as the South, and +2.5% in the West. All types of products have relatively the same growth expectations between +2.9% and +3.7%. Janitorial and Sanitation lines lag a bit at +2.7%. Further breakdown by region of both product categories and equipment subcategories can be found on page 7 of this report. For 2018 MAFSI Reps had forecasted growth of +3.7%, which, in actuality, will not be achieved given that the first three quarter results for 2018 were +1.5%, +1.8% and +2.5%. Some of MAFSI’s optimism is derived from very positive Quoting and Consulting Activity forecasts. Relative to Quoting Activity, 55% report more, while only 9% record less. Consultant Activity forecasts 44% more with 10% saying less. The best bets for finding this growth can be found in the Market Segments of Schools (K-12), Chain Accounts, Healthcare, Business and Industry, and Colleges and Universities. Rep firms are growing larger in both the number of employees and number of lines represented, probably reflective of mergers and consolidations of both reps and manufacturers. The task of business forecasting has never been more complex as evidenced by the recent volatility recorded in the financial markets with extreme swings in the midst of a major market correction. Current variables, both negative and positive include: the recent government shutdown, the political environment, Brexit, the trade-war and tariffs, raising internet rates, falling oil prices, concerns over a slowing global economy, and the effects of E-Commerce on Foodservice E&S sales, just to name a few factors. With the lowest unemployment rate in nearly 50 years, artificial intelligence (AI) and Robotics come into play. Lower gasoline prices translate to more disposable income and hopefully more dining out. NAFEM 2019 should lead to a surge in product innovations. Here’s to a running start in 2019. MAFSI Reps will need it to achieve their lofty goals of a +3.4% advance in sales. Special thanks to Michael Posternak, PBAC & Associates LTD, Eastchester, NY for his 2019 forecast commentary. We also extend sincere thanks to our industry partners at SpecPath, Foodservice Equipment Reports, Foodservice Equipment & Supplies, Ashton Foodservice Consulting and Clarity M&A, Foodservice and Hospitality, Restaurants Canada, Technomic, and AutoQuotes for sharing their data and expertise in our forecast report. Only MAFSI can give you the whole picture in one place. The entire industry...at your fingertips...with the 2019 MAFSI Foodservice Industry Market Forecast Report. 1. What does the MAFSI Forecast mean to us as MAFSI Reps and Manufacturers? The bottom line for everyone who sells in the United States and Canadian foodservice markets is that we want to know how we’re doing versus the market as a whole. The MAFSI Market Forecast provides a look at the market as a whole, and each of the MAFSI geographic regions in some depth. Since we may be operating in a limited regional market we also need to get deeper to understand our results and outlook. For example, seeing an overall drop to 3.4% of the market for Canadian provinces. This is a 20% drop if you have a significant portion of your sales in this region. You certainly want to know how the market is changing and how you’re doing vs. this important market. Measuring your company against the market overall is the starting point for your company’s strategic planning. The deeper you go, the more important these comparisons are. Evaluating your company’s activity as it relates to quoting and consultant activity is vital. Knowing what’s happening in these segments is critical if one or more of these segments comprise a substantial portion of your business. Studying your business as it relates to highly-focused segments of the market means a lot to the future. How much difference does it make? Like an attorney, we have to say, “it all depends”… MAFSI’s information is more or less valuable to your company as you evaluate the position of your company segment by segment. As a member of MAFSI, you receive the MAFSI Market Forecast as a tangible benefit of membership. Using the forecast to your advantage can be very beneficial to your business. For example, chain restaurant operators can benefit from knowing chains increased their activity during the most recent quarter. And knowing chains are the fastest growing segment of the market in the past year gives them a basis of comparison. It will better help your customers judge their business versus other chains of comparable size. 3. Your firm benefits by being exposed to the MAFSI Forecast. This is an outside-in forecast. Reps bring a real world, on-the-street perspective to what’s going in the marketplace. All Reps and Manufacturers need to understand and appreciate the information within the Forecast. After digesting the data, members need to interpret the forecast for his or her channel partners and staff and help them see a path to effectively capitalizing on the facts of the market to increase market share and profitability. The MAFSI Forecast is a working tool that can help all members of the sales channel grow and prosper. 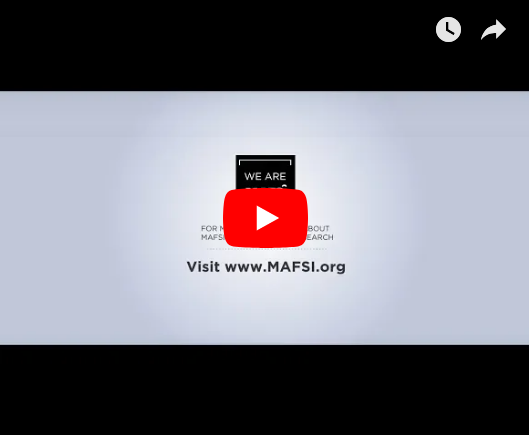 We hope you enjoy the 2019 MAFSI Market Forecast Report only available to members and we would love to hear your feedback. Here’s wishing you good planning and a successful 2018.